The convergence of cyber security and physical security is underway providing benefits across organizations and real cost savings. 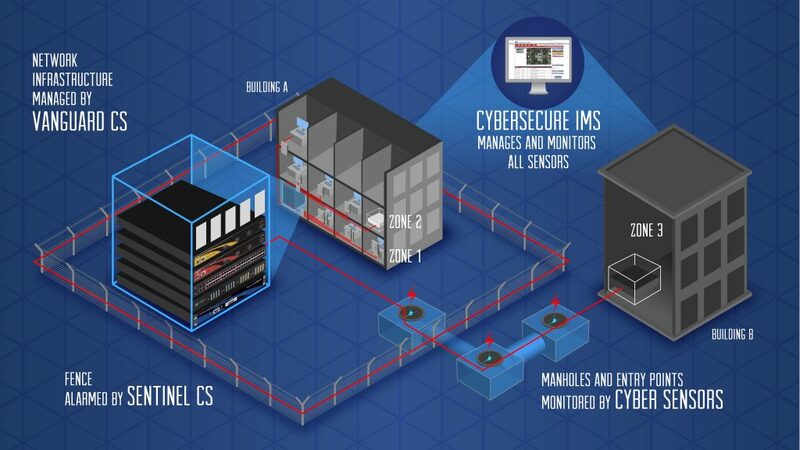 For years, the U.S. government and Military have utilized our INTERCEPTOR™ CS optical fiber monitoring products to safeguard their data networks from physical threats by performing continuous monitoring of cables, cable pathways and points of vulnerability such as manholes, and equipment cabinets for anomalies that could be caused by a physical cyber-attack (tapping for data theft, denial-of-service) or due to damage that could degrade network performance and availability. This same technology is now gaining traction in the private sector with VANGUARD™ CS. Now, incorporating the same optical fiber sensing technology, our SENTINEL™ CS Perimeter Intrusion Detection System is designed to monitor barrier fence lines to detect attempts to climb-over, tunnel-under or cut-through providing a physical layer of security for protecting personnel, property and equipment to complement our cyber security products. Our proprietary Cyber Secure IMS™ alarm management software application acts as the common platform used to manage both our cyber and physical security devices. As such, an organization can gain visibility and situational awareness regarding physical intrusions into both their indoor (within the building) and outdoor (building to building) network infrastructure as well as their perimeter protection systems (fences, walls, etc.). Customizable, site-specific standard operating procedures including appropriate first responder notification. The redirection of cameras, door locks, and security systems to protect and document events at the location. Rapid and easy solution deployment without costly changes to existing network infrastructure. Join Network Integrity Systems, CyberSecure IPS and our Integrator partner Bazon-Cox & Associates at ISC West, April 11-13 in Las Vegas where the full solution will be demonstrated.